Even though fall and winter are my favorite seasons, I admit that they can be a bit tough on curly hair. The cold weather can make curls dry and hard to maintain its moisture. 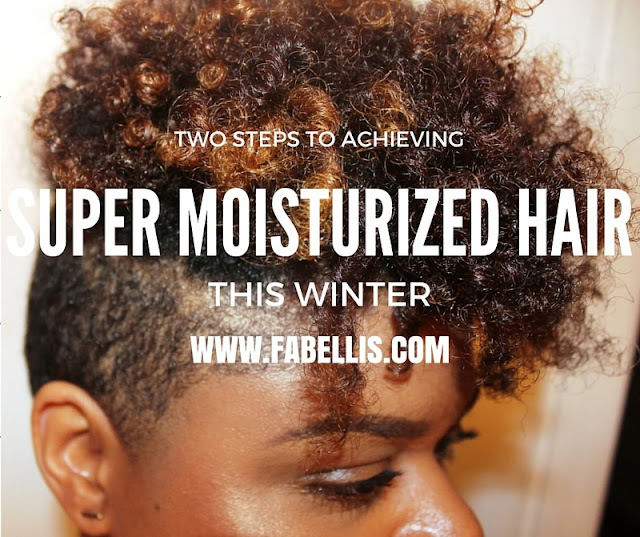 Whether you plan to rock a protective style or your loose curls this season, I have two steps to share that can definitely keep your hair moisturized and healthy during the harsh winter cold. Plus, these tips can easily be incorporated any time of the year to increase moisture retention. 1. Deep condition hair one to two times a month. I know there are some curly girls that deep condition their hair every wash day. There are many on the other hand that may not have the time or patience to deep condition as often so aim to deep condition once or twice a month. Deep conditioning with heat goes a bit deeper to penetrate the hair and get moisture down into the cuticle. If you plan to wear a protective style this coming season, I highly recommend deep conditioning hair prior to your styling. It strengthens your hair, which is important especially if you are wearing hair extensions. If you are looking for a deep conditioner, try Dove Hair’s Quench Absolute Intense Restoration Mask. 2. Do the LOC method. Liquid, oil and cream. These three words changed my life a few years ago. When it comes to keeping your hair moisturized, the key is to lock in the moisture. One of the most popular ways is by doing the LOC method. After washing and deep conditioning my hair, while wet (liquid), I like to apply a moisturizing oil such as coconut or rosemary oil (oil) and then seal with a leave in conditioning cream (cream). This helps my hair stay moisturized until my next wash day. If you are looking for a cream to help seal in moisture, try Dove Hair’s Quench Absolute Crème Serum. What are your tips for keeping hair moisturized during the cold winter months?